Indigenous communities suffer a much higher rate of arthritis than non-Indigenous ones, according to a University of Calgary researcher. 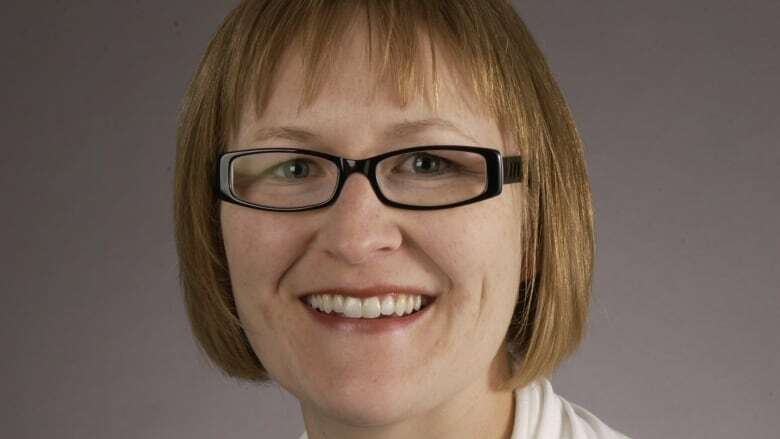 Dr. Cheryl Barnabe of the University of Calgary spoke Monday to David Gray on the Calgary Eyeopener about how to devise strategies for improving treatment of Indigenous patients experiencing rheumatoid arthritis. Barnabe will speak about the subject Wednesday at the University of Calgary. Q: What's the link? Why does RA afflict more Indigenous people than everyone else? A: We don't really understand all the factors that accumulate in one individual to trigger rheumatoid arthritis. But we do know there are factors that can predispose people. Genetics is one component. Exposure to cigarette smoking is another. We worry about other environmental exposures as well, which may include things such as stress and trauma — and all of these things meld together to create one's own individual risk for developing this condition. Q: What does it feel like to have rheumatoid arthritis? A: It's an autoimmune disease, so it can start with just one joint, and then another, becoming inflamed. But by the time it is recognized as rheumatoid arthritis, people will have several swollen joints. In our body, we count up to 66 joints in a rheumatology exam, and some people will come in with as many as 38 swollen joints. These are small joints in the hands, in the wrists, so it can be difficult to do things such as hold your toothbrush in the morning, doing up the buttons on their shirt. It's really quite difficult to move because of stiffness. So people will wake up hours before they have to actually go to work normally, because they need some time to loosen up before they go. A: We don't have any cure for rheumatoid arthritis at this time. Instead, we use medications to help control the inflammation and prevent the joint damage that can occur. Q: You're a physician for a number of health clinics on reserves. Can you give some examples of how debilitating this is for the people involved? A: We see a large proportion of young women coming in to present with rheumatoid arthritis for the first time. These women are trying to go to school, gain their education, start their careers, start their families, and they're delayed in being able to do that, because of their arthritis condition being active. We also see [cases where] people come in 13 years after their condition started, and when we ask why that might be, it relates to how the health system has not been able to get them through the door to the specialist. Q: How do we turn it around? A: We've asked patients about that experience, and what barriers have come up along their journey, and what are the things that make it easier to get in for care. We know that the family is an important piece of this. And so we need quite a lot of family support, and the ability to recognize that this is a condition that can be treated, can be dealt with — so that recognition by providers, by family members and by patients, is important as a first step. We also know that there are several issues that occur when people contact the health system. And so we really need to make that ability to come into a safe, culturally relevant environment much much more available to patients. Q: Is part of the problem that Indigenous people just think of it as part of life? A: We've heard that in some of our research interviews. Because so many people in the community have arthritis, it's not seen as anything that needs attention, because it's so common. It is thought of as what happens to people. We do have an awareness piece to work on — but we also need to change how we deliver that care. As a specialist, there are a lot of steps to getting to us that have been created. Some of those things have been put in place because of the history of medicine. Some has been put in place by being efficient, and trying to maximize our health-care dollars. But it really doesn't help the patient who needs to get in, if they need to follow steps of getting a family doctor, having a doctor recognize that they have inflammatory arthritis, then getting all the lab tests and X-rays done. So we really need to remove some of those steps and make it simpler to get in for a diagnosis.